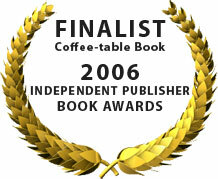 Subscribe to our newsletter for project updates, latest photographs, news and more! 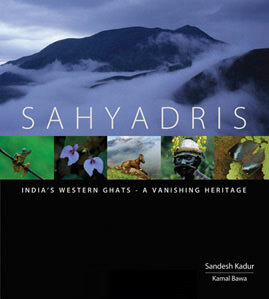 Sahyadris : India`s Western Ghats takes you on a visual journey through the Malabar Coast of southern India, along the Arabian Sea, wherein lies a range of mountains known as the Western Ghats, or Sahyadris. Far more ancient than the larger and better-known Himalayas to the north, the Sahyadris harbour the most intact rainforests in peninsular India. Countless species of plants and animals live here, many of which are found nowhere else on earth, and countless of which are still being discovered. Matching this incredible biological richness is the ethnic and cultural diversity of the Western Ghats. 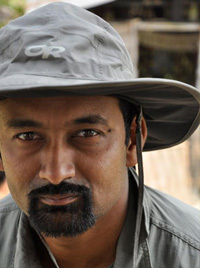 An award winning wildlife photographer and film-maker with a passion for conservation and education. He is a fellow of the International League of Conservation Photographers and the director of Felis. 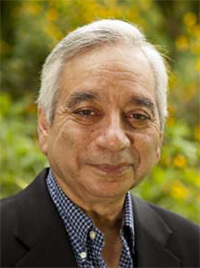 Distinguished Professor of Biology at the University of Massachusetts at Boston, and President of the Bangalore based Ashoka Trust for Research in Ecology and the Environment.